Pride is taken in responding to customer and industry demands by constantly upgrading our equipment, education and training. We are proud to serve the communities we have shops in and will continue to provide next level service for years to come! 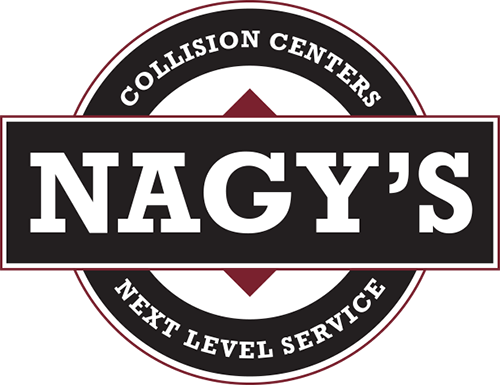 Nagy's Collision Centers offers auto and power sports collision repairs, as well as auto detailing. This is how the Nagy’s Collision Center team stands today. Pride is taken in responding to customer and industry demands by constantly upgrading our equipment, education and training. These guys are awesome! I would highly recommended them for rust proofing & detailing. They did several of my vehicles and always are very thorough and do a perfect job. How often does a body shop get everything right? 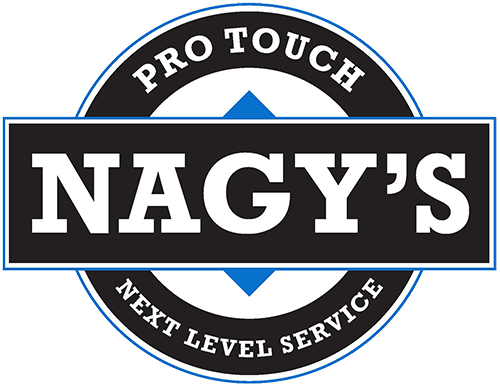 Nagy's consistently delivers from initial quote, insurance, body work, paint, to completing the work on time. 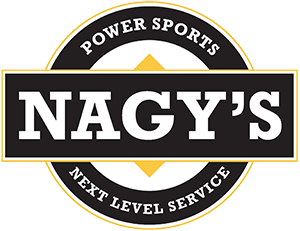 Nagy's is a one-and-done. Had Pro Touch do an interior clean on my vehicle and I am extremely pleased with the results! Very thorough job...I highly recommend Pro Touch. Just picked up my husbands truck ( his Christmas present) and it was absolutely perfect, we were beyond thrilled. They are the best! Took my car to Nagy's after I hit a deer. They took really good care of me there. I was surprised that after they were done I couldn't tell the car had been wrecked! The Nagys staff exceeded my expectations 100 percent in the work they did on my 1976 Corvette. I was more than concerned on the ability to match the red paint on my car, WOW!!!!!!!!!!!! Great Job!!! I really appreciate your staffs professionalism and workmanship. Ms Fire is smiling again!!! Thanks for a great experience!!!!!!!!! Pro Touch did a fantastic job of removing a dent on short notice. I would not hesitate to recommend their services and will use them in the future. Thank you. Phil, and the entire collision staff did a outstanding job. My suburban was done on time. I've lived in Harville for 45 years, never seen customer service like this! My husband gave me a complete detail gift certificate so I could get my 2010 Hyundai Santa Fe looking good again. They did an awesome job! My car looks like new again. I highly recommend them. Working with Phil in Hartville has been a real pleasure at a time when most people aren't real happy. After hitting a deer, Phil worked with us to complete the work quickly, handled all communication with our insurance company and went above and beyond to make my car look better than it has in a while! Thank you Nagy's in Hartville. We will strongly recommend you to our friends and will use you for any future repairs. A slight fender bender. Scratches, broken headed light, tip of fender creased, etc. Boomer, Megan, and crew went above and beyond. They did far more repair than I thought they would. Their attention to detail is amazing and they made my garage queen look brand new! Thank you. I get Corrosion Free rustproofing done every 18 months at Nagys, they thoroughly get the undercarriage, and MANY others areas on the vehicle. The job is always well done! Had my truck worked on this week fantastic job, went above and beyond and did a little extra that wasn't covered just to make it look flawless. I hope I don't, but if I need body work again I'll go right back here. Soooo we bought our Acadia brand new from Aber's Truck Center and when we noticed the paint bubbling on the hood after a year we took it to show them...not only did they arrange everything to have it fixed they rented me a vehicle to accommodate my sized family instead of their standard Impala. Just picked my vehicle up from Nagy's Collision Centers and they had not only cleaned the outside of my car to paint it they also swept my whole car and even scrubbed my weather tech mats!!! I highly recommend Aber's & Nagy's! What a great place I found by accident. After my warranty ran out and I was no longer "married" to the high priced Harley shop. They did my 30,000 mile service last summer and told me about some minor maintenance issues that could wait to be done over the winter. I just picked it up and the bill was unexpectedly less than the original estimate. I would recommend them to anyone. These guys cleaned my car a week ago and did a great job! I didn't wanna let my kids back in my car! Will definitely be using them again! Had them do the ceramic clear on my Harley!!!!! Looks amazing!!!!!! Thanks again guys will back for sure!!!!!! Great service and quality work. I wouldn't go anywhere else as long as Fred is working there!